Here, we will Practice – Exercise – Move – Flow – in ways that have the potential to Heal , Empower and make us Feel Deeper. Inspired from Ancient and Modern Knowledge, Traditions, as well as All that surrounds us – Yoga, Sacred Rituals, Nature & Elements, Qi Gong, Calisthenics, Pilates, Shaolin, Olympics, Animals, Primal Movements,..
Surya Namaskar was first. It is a series of postural flow that stretches, strengthens, and balances our body, breath and mind. As our Sun represents the physical and spiritual Heart of our World, as well as nourishes, gives Life & Energy to us Living Beings, we show and convey our Gratitude by practicing Surya Namaskar. By doing so, we harness and open ourselves to receive it’s abundant, healing & powerful Energy, while awakening our Inner Sun, in order to Energize and Balance ourselves. Salutations/Rhythmic Vinyasa A , it’s benefits and how-to. Enhances our Blood flow throughout our body , strengthening & stretching all major muscles and organs – these leads to many various benefits such as faster detox, improved digestion, enhanced cognitive performances, balancing hormones release. We get healthier in all aspects of Self – physically, mentally, emotionally, spiritually. Let’s link our Movements with our Breath, and go in our own rhythm. 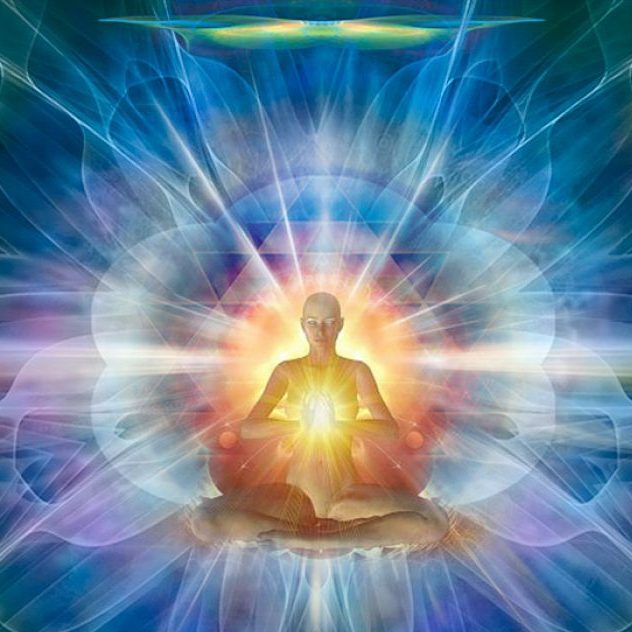 Let’s Feel all parts of our Body as we are in a position, and let’s open up ourselves to receive Universal Energies. Since Ancient Times, many civilizations honored our Sun and Moon for their energy and different, opposite energies. Here, the Moon Salutation represents the awakening, enhancement of our Feminine Energy, Yang, Creativity, Sexuality, Calmness, and much more. There are many variations, and the one that I feel embodies the best these Energies is the Kripalu Yoga Chandra Namaskar. This practice stretches and strengthens all major muscles and organs, enhances our flexibility and balances our respiratory, circulatory, endocrine (essential wellness hormones) and digestive systems. It is centering, grounding, and flowing – while opening our Energy to Feminine, Moon,.. Energies. Each of the poses promotes a fertile body, opening our hips, strengthening our core, stretching our spine,..
Breathe and Feel in deeply, connect your awareness & breath with each movement. The Five Tibetan Rituals for Rejuvenation originated a long time ago, -sources say approximately 2500 years before Present Time, in Tibet. The postures and movements are dynamic, enlivening, balancing all muscles, organs, hormones secretions, and cognitive functions – and are similar to particular Yoga Asanas. Increases Energy, Vitality and overall Strength and Flexibility, while promoting blood circulation, hormonal secretion and cognitive functions balance. This Rites Sequence is also called ”Fountain of Youth”, for it’s rejuvenating and anti-ageing benefits. Breathe and Feel in deeply, connecting our awareness & breath with each movement. After each rite, take some time off (5-15 seconds) to Feel and breathe deeper. Then we flow on to the next Rite. If feelings of pain, do not strain, relax and do/find a variation. Let’s link our movements with our Breath, Feel each part of our body getting healed, empowered, balanced. Each Movements Rite should be performed depending on our strength, flexibility and willpower. If we feel that it strains us in any way, let’s be wise, listen to our body and perform variations -or- do stretches that will improve our strength and flexibility for this specific area ! Ideally, each rite should be done several times, the more, will promote greater results – Beginner, 3-7 times each . Intermediate, 8-14 times each. Advanced, 15-21+ times each. QiGong is the art, knowledge, practice and wisdom of harnessing and transforming Energy for our optimal Well Being. It’s origins are traced to China, dating more than 4000 years. QiGong involves meditation, visualizations, breath, self-massages and active movements. The practitioner moves, breaths, visualizes, massages, meditates in ways that alters Inner & Outer Energies – (removing unwanted toxins, unblocking energy channels,.. – or – harnessing pure, optimal energies and enhancing their Flow). It Balances the Yin & Yang, opposite yet complementary & Interconnected energies which all Existing Things have. here is an amazing video where we can Feel and Heal, Empower ourselves through QiGong. Five exercises derived from Buddhist QiGong. They are deeply healing, empowering, unblocks all meridians, energy channels and enhances our WellBeing. Joseph Pilates developed these technqiues 70 years ago, with the intention to help rehabilitate injured people. He combined ancient Greek and Roman fitness methods with elements from dance and swimming to create an effective system that heals physical weaknesses, strengthens our core and restores balance. Pilates enhances flexibility, strength and develops control and endurance in our entire body. Key aspects are alignment, breath, developing a powerful core, while improving coordination and balance. It’s Origins are from Africa, mainly the Sacred Land of Egypt. These exercises have been felt, performed throughout the continent to Heal, Empower and Connect Body, Mind and Spirit. Union of the single individual consciousness (Ego Self) with the Collective Oneness Consciousness (All). Using our body weight, gravity and imagination to develop and enhance our body. Expressing our Unique Energy by dancing, moving, feeling, being with the Vibrations of Life. Using Shakti Energy (Feminine Sexual Energy lying dormant or awakened in the base of our spine (Root Muladhara Chakra) to Feel, Heal, Empower Life deeper. Note : Shiva Energy is complementary and can be used to reach deeper levels of Kundalini Awakening. Draw with arms hands figure 8 Flow all around us by circling on ourselves. Strengthens, cleanses, protects aura. Squat , then bring arms sideways extended as far as possible. figure 8 with wrists. Now, let’s focus our Energy on generating strength and power into various of our body parts. Start with arms : raise them sideways. Look straight ahead. Focus on feeling your arms becoming as hard as steel. Feel energy flow and strength flowing through. Now we do the same with other body parts.